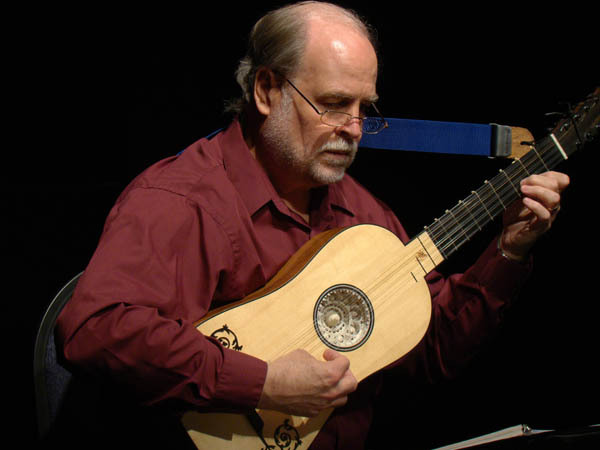 Bruce Brogdon studied classical guitar at the University of St. Thomas. His interest in early music led him to take up the lute, and he has studied privately and in master classes with Paul O’Dette and Pat O’Brien. Bruce has performed with the Texas Baroque Ensemble, the Green Mountain Consort, the Houston Baroque Ensemble, the Texas Early Music Project, La Follia Austin Baroque, Ars Lyrica Houston (based at University of Houston), and Aquinas, the resident ensemble of the University of St. Thomas.